I'm pulling my first all-nighter in forever - we are currently in Middletown, CT where Abe and I just attended our college reunion. We have a flight we need to leave the hotel by 4:30am for, so I'm deciding not to sleep. It's been an amazing trip. 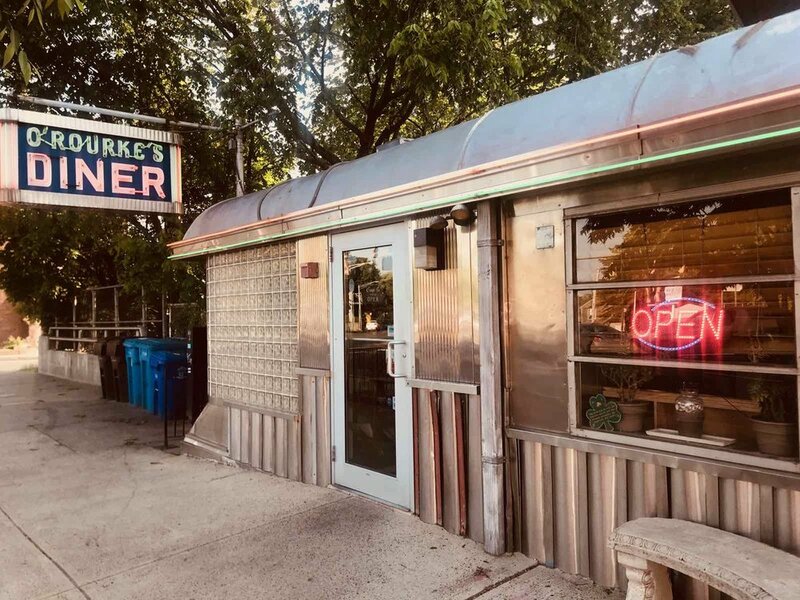 We got in early 2 days ago before anything opened and hit O'Rourke's Diner for breakfast. You may have seen this place featured during the early years of Diner's, Drive-ins, and Dives. It's still as wonderful and charming as it was long before it was famous, while we were undergrads at Wesleyan. There are actually a lot of gluten-free options at my alma mater but nothing incredibly exciting. To be honest, I'm really looking forward to eating the leftover Buffalo Quinoa Salad I made before we left - which is, essentially just sauce (from the Slow Cooker Buffalo Tofu) with quinoa and stir fried veggies. Also worth noting - I got a French Manicure Gel with black nail polish instead of white and am obsessed.